Jennifer and Colin are as perfect in person as there are in these photos and I can honestly say that I am so sad their wedding is over, it has really been an amazing year working with these two and I am going to really miss it. Jennifer and Colin met at a wedding of one of their close friends in Los Angeles 2 years ago and started dating long distance, with Colin in Los Angeles and Jen in Dallas at the time. It did not take long until Colin realized he was in love with Jen and after Jen got a job in Los Angeles, the two were finally able to move closer to one another where they continued to date and fall in love. 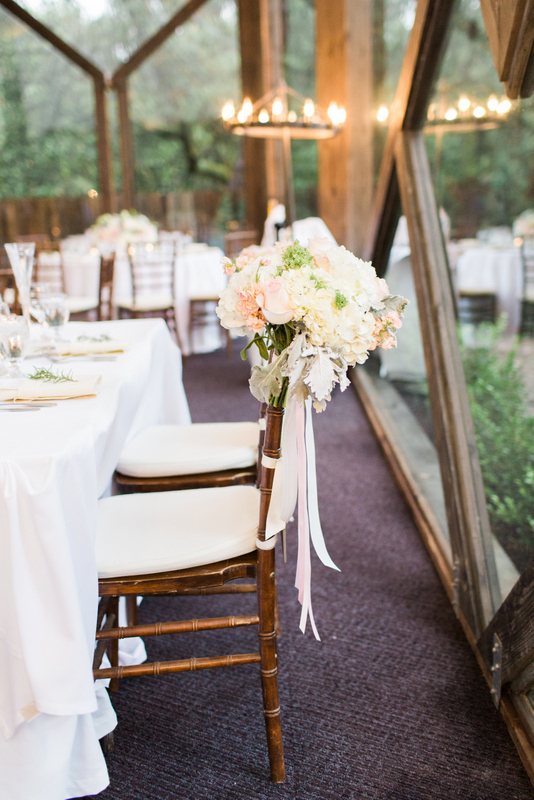 Not much after, the two were engaged when Colin proposed to her in Jen’s hometown of Portola Valley, where the two of them were attending a wedding, and so their own journey towards their wedding began! The inspiration behind the day was came from the desire to have a rustic, yet whimsical and romantic feel for the day. 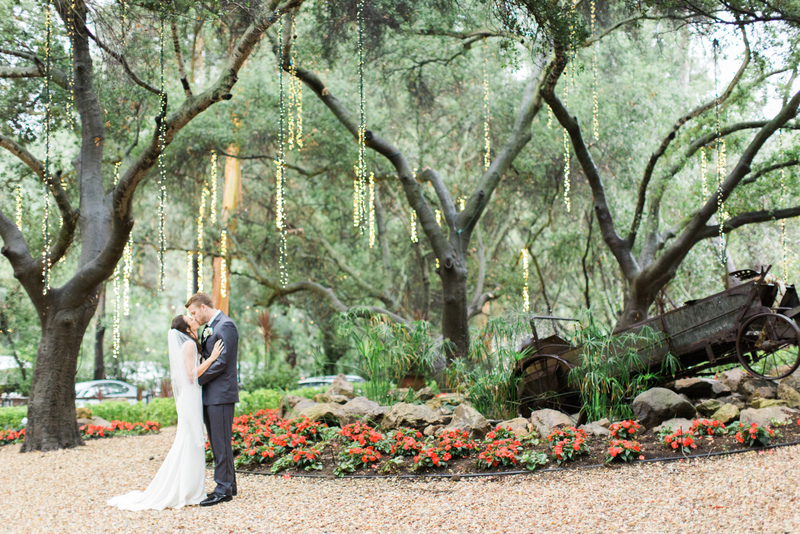 Given the natural beauty of Calamigos Ranch and their simple taste, Jen and Colin wanted to keep things simple. They also wanted their character to really be evident so they included scripture, pictures throughout our relationship and monogrammed pieces to add to the details. 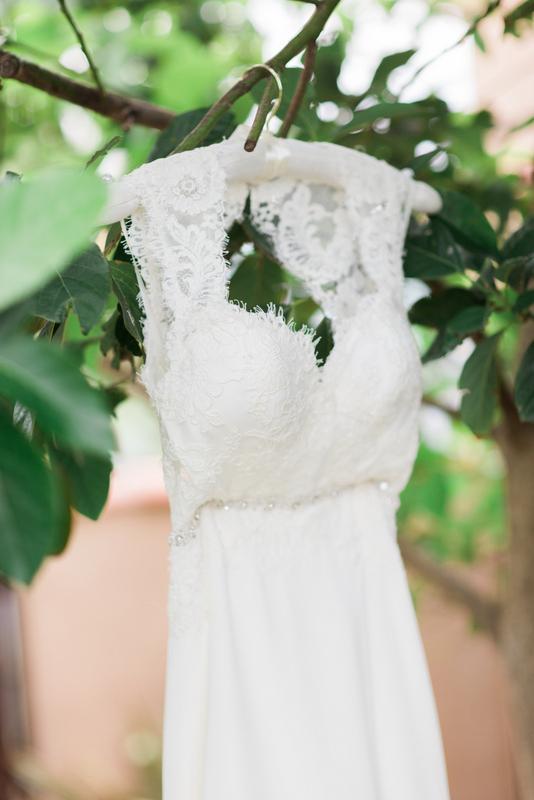 Jen’s beautiful dress was by the talented designer Jim Hjelm – she found this beauty at the JLM Couture Bridal Gown Boutique in Beverly Hills. Her bridesmaid’s dresses were from Bill Levkoff, where she chose a beautiful blush color but let the girls select from a variety of different styles. One very memorable and unforgettable aspect of the wedding was how much it ended up raining that day…in the middle of July and in a very serious drought here in Southern California, but it did not stop us from having the most perfect wedding! Colin and Jen live currently in Los Angeles in the quaint neighborhood of Brentwood. Colin works for an online expense reporting software company as a Business Analyst. Colin is also currently starting his second year of Business School at UCLA. Jen is a Management Consultant and works in a range of industries. Enjoy these beautiful photos by the talented duo Marlene and John of Koman Photography!